Hi Everyone, I hope your Monday is starting out better than mine. I left my breakfast at home this morning...whoops! But I know your day is going to be better because I have something fun to share today. Lawn Fawn teamed up with the Bazzill Matchmaker program to bring you a list of Bazzill card stock colors that match the Lawn Fawn Bright Side paper line. You can check that out HERE. Bazzill also has a new card stock line and was kind enough to send me a variety pack of their new Card Shoppe card stock to play with. It's 100lb card stock with a smooth finish and after playing with it and making a few things I can say from experience it is great for card making! It comes in 8.5" x 11" sheets in 28 colors with fun candy themed names. Here is the color chart from Bazzill, The colors on this image look closer to me than the one that came printed in my package so this is a good reference. I made a few cards using this new card stock and I really like it. I will be sharing them this week on the blog starting today. On this one I tried some die cutting and dry embossing and it worked wonderfully. Now for the fun part...Bazzill not only sent me a pack of Card Shoppe paper to play with but they also sent me a pack to give away! Leave a comment on this post by 5:00 EST on Friday May 11 and I will pick one person to win this fabulous pack of paper. Also if anyone comes across a place to buy it online please let me know. I did find it at scrapbook.com available for purchase by individual sheets. I'm always looking for a wonderful card stock for card bases. The colors look great! Chari - thanks for the chance to win this card stock!! Thanks for also doing a comparison video! This card is adorable! 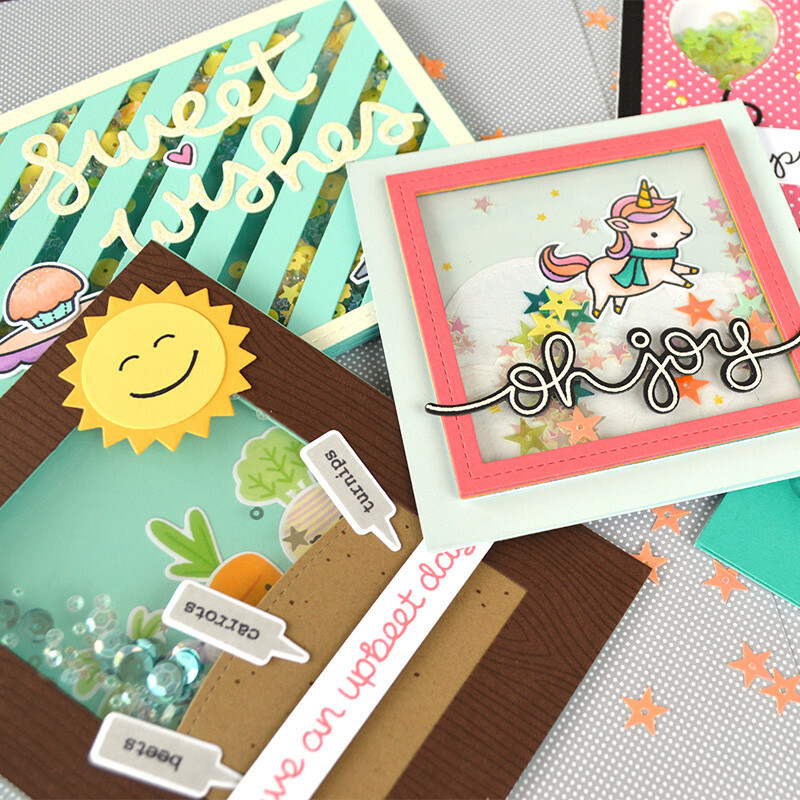 Love the dry embossed/stamped background, and would love to win some cardstock! You can never have enough! 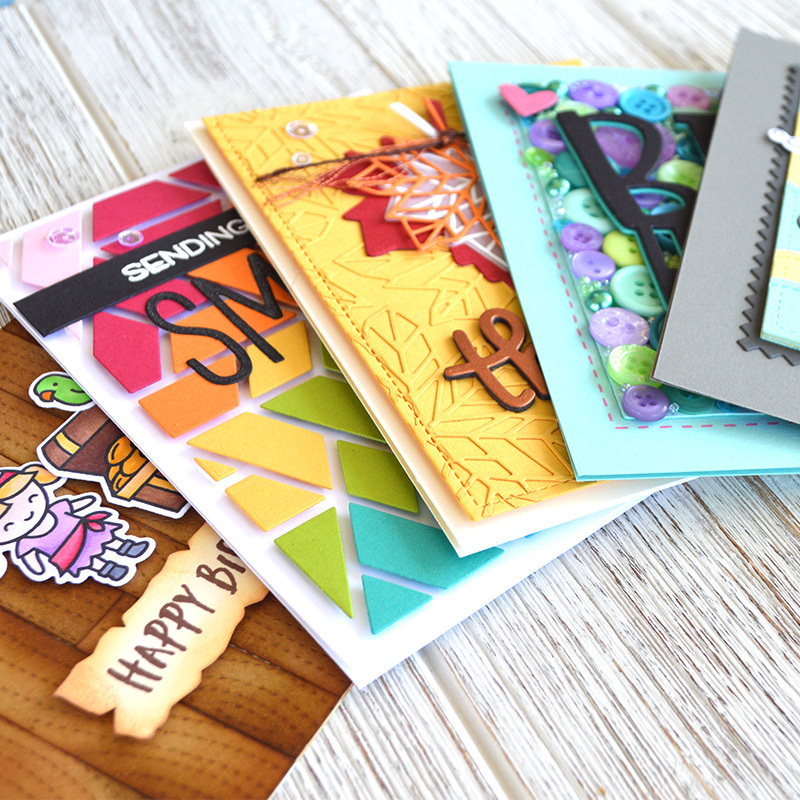 You can't ever have enough cardstock, and Bazzill is my favorite! Oooh lovely to get to play with new (free) goodies!! I lvoe this - the embossing came out awesome! I love the little hearts in the embossed circles! Too cute! Thanks for the video and the color chart. I have being looking for some grey card stock. I think Bazzil's grey card stock looks great. Love your card. Thanks for the giveaway. I am very interested in a new place to buy cardstock. Thank you for The video!! Thank you so much for this comparison! I am usually a PTI purist, but there are still some gaps in their color range that I have been longing for. Those aqua colors are just gorgeous, and I definitely agree about those fun and bright purple colors (Gummy Bear and Jellie Bean). If I could buy it in packs like PTI sells theirs, then I would definitely jump on a bunch of their colors. Buying individual sheets makes me antsy for some reason (I have to think about how much I'd use and then I nickel and dime myself ;P). Such a cute card and love the color combo! :) thanks for the chance to win! I'm loving that jawbreaker color! TFS! Thanks for posting this. I love Bazzill products. I hope I get lucky and win this assortment pack! Wonderful inspiration as always - thanks! THANKS also for the chance to win - would LOVE to try them (-:. great comparison. Jawbreaker is so pretty. Thanks for a chance to win! I only use PTI card stock except when I'm using my silhouette machine. The Bazzil card stock colors look really lovely. Would love to give them a try. Thanks for the video. Great card and the colors are just pretty. Thanks for the chance to win. I love these colors too. I can't wait to get some and play! I loved the video! The card stock colors look beautiful and I love that it's smooth, rather than their usual textured. Not that I mind the textured for some things, like a card base, but it does make it harder to stamp and emboss on. These would be great. I hope Bazzill does come out with a variety pack like the one they sent you. How nice of them! And how nice of you to offer one up as a giveaway. Thanks for the chance to win! Oh geez, I forgot to add that I love your card! Those colors are yummy and perfectly paired with the pears. ;o) I love the hearts you stamped on the dry-embossed circles, too. What an amazing reference Chari, thank you! I love the look of these papers, especially since Bazzill is usually textured on one side. And the super sweet card you made to finish the post is great too! I love the dry embossing on the card as well as the greens! And I love Bazzill! Thanks for the opportunity to win! 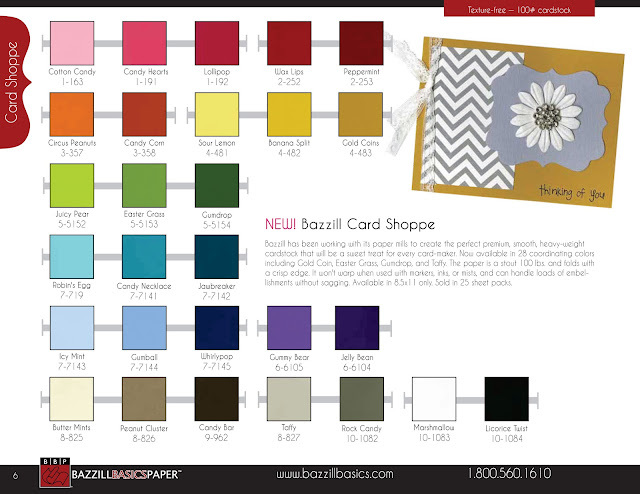 Love the colors of the new Bazzill Cardstocks!!! Thank you so much for the video and the color chart! Great new colors. Thanks for the informative video. I wonder how they work with the Silhouette. Thanks for the chance to win. 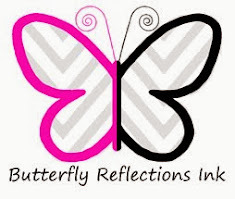 Love the possibility at an alternative to PTI cardstock! It couldn't have come at a better time :) Super cute card. Thank you for the chance to win!! Thanks for the informative video Chari. Love the colors. If you get to know of an online shop pls. share. I would love to try some!!! The names are so fun and cute too! Your perfect pear card is really awesome and cute! I like how you stamp some hearts on the embossed circles! Thanks for a chance to win some goodies as well! I love that card! Soooo cute! Great card! I would love to win some cardstock! Thanks! What is it about paper? I just love looking at color charts and stacking up my papers in "color family" order. Most people don't understand ;-) They also don't understand subtle differences. I chuckled as a listened to your very well done video. Not many people would see the differences or describe one as cooler or warmer, etc. But when I choose paper, those are exactly the things I look for! Not all "pinks" are created equally. Thanks for the great video. It was a pleasure to watch. Your card is just too cute...GREAT color choices. Fabulous card. I love the dry embossed, stamped background. I appreciate the color comparison video...now to find that cardstock in a pack! This looks fabulous! I love Bazzill papers. Thanks so much for the video! It's nice to see the colors side by side like that...very helpful. I agree, an online resource to buy in packs would be awesome. :) Thanks for the chance to win!! Love the card you made -especially the cutout! Thanks for the chance to win the paper! I love your Pear card! 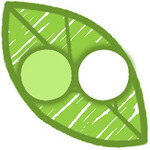 You had me at GREEN, my favorite color, and then of course all sweet little circles ... and of course the cut out circle. This paper pack idea is fabulous - thanks so much for the chance to win. And, thank you for the inspiration! 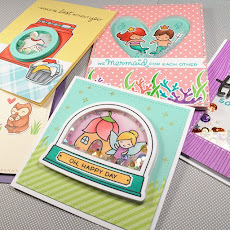 Chari, I really do like reading your blog, and your cards are so cute! 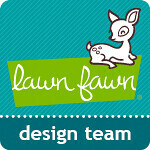 Lawn Fawn and Bazzill make a great "pair" don't they? Thank you for sharing, and for the chance to win! I love Bazzill's cardstock ever since they first came out eons ago. And, these colors looks yummy. Thank you for the chance to win it and thanks for the video. Thanks for the great review. I would love to be entered to will. Love your cute card too! Wow! Thanks for the video. I would love a chance to win--especially considering how awesome your card looks. You can't beat Bazzill Card Stock - it is tried and true. Love your pearfect pair card! The card stock colors are great! I appreciate the chance to win some!!! This card is adorable! Love how you stamped that teeny tiny heart randomly on the raised circles. These cardstock colors are beautiful and I would love to own them! I love your card - such a good idea & gives me inspiration. Thank you. Thank you too for the opportunity to win the card stock. your card is absolutely adorable!!!! (but i'm not surprised by that!!) thank you for the chance to win!! 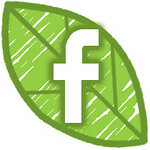 and THANK YOU for the compare-video. 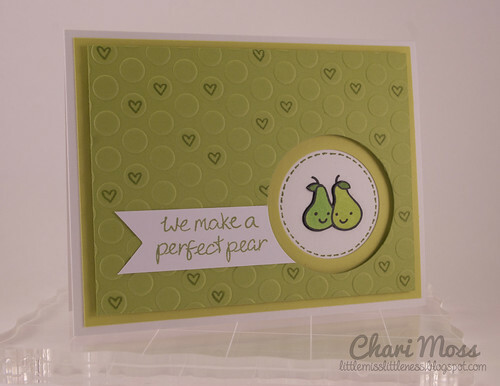 Your perfect pear card is too cute for words! I just love the color combinations and how the whole card came together! Great job!! Thansk for the informative video-you provide a nice comparison between the Bazzill and Papertray Ink. And avery cute card, too! What a cute card. I live in a town where the only way to get Bazzill is order online or drive over an hour to get to a store that carries it, so thanks to you & them both for this chance. Chari thank you for making this comparison video. Still new to card making so the video is perfect for me. Thanks again for the chance to win the card stock. Thanks for all the info! You rock! Adorably sweet card. Have always loved Bazzill papers, and this looks like a great set. 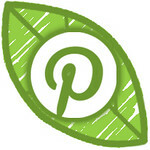 We are always looking for card stock colors, and of course great ideas, thanks. Your card is darling! This new paper looks awesome! I am loving the colors and the names!!! I would love to win and try it out!!! Thanks for the chance! Thank you for showing the comparison of the new Bazzill paper to PTI and Hero Arts! I love the colors of the Bazzill Paper. There are definitely some great colors to fill the gaps I have with PTI card stock. Thanks for offering the opportunity to win a pack of the paper! Thanks for the comparison video. I love your pear card. I'm going to watch here to see if anyone comes up w/more places to buy it. 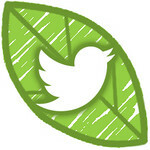 Thanks for this sneak peek at the new Bazzill cardstocks. I just love their products, but no one around here sells it! I am fairly new to card making and scrapbooking so I have a very small supply of card stocks, so it would be wonderful to win some! I absolutely love your cute little Pear card! I love using colored cardstock as my card base rather than white or cream and I'd love to get some new colors. Thanks for giving us a chance to win. First of all I have to say, I LOVE your cute little pup, Miss Littleness!! After I pulled myself away from admiring her adorable little face, I explored the rest of your blog. Your video showing the different colors in this new card stock collection is helpful, and your card is almost as adorable as your puppy!! Thanks so much for the chance to win. I use solid card stock ALL the time! Thanks for the video. It's great to have a reference like that. 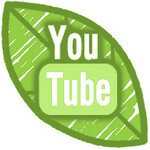 What a great video, thanks for sharing! Also I love the card you made. It is beautiful. The dry embossing sure added a pop to the paper. Thanks for the video! What a great comparison. I especially like the Rock Candy gray!